Your data is held securely in the hands of our staff from collection to destruction. We now use the latest mobile tracking software available to us which allows us to monitor our vehicles at any point along the route. All details you need are recorded which are then provided to you on the Certificate of Destruction such as the weight of collection, etc. and you are sent a copy of this following destruction. 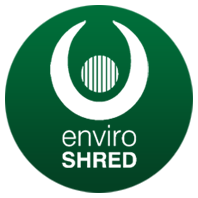 Data is destroyed using the latest industry-leading shredder, chopping the data into confetti like pieces and mixed so that no two pieces could be placed together to make any sense prior to recycling.